Above ground swimming pools have become very popular in the recent years because of lower cost and easy maintenance as compared to in-ground pools. Many brands offer above grounds pools. However, two brands have become household names because of their high-quality products available at affordable prices. These are the Coleman Pools and the Intex Pools. 3 Are There Any Other Options? 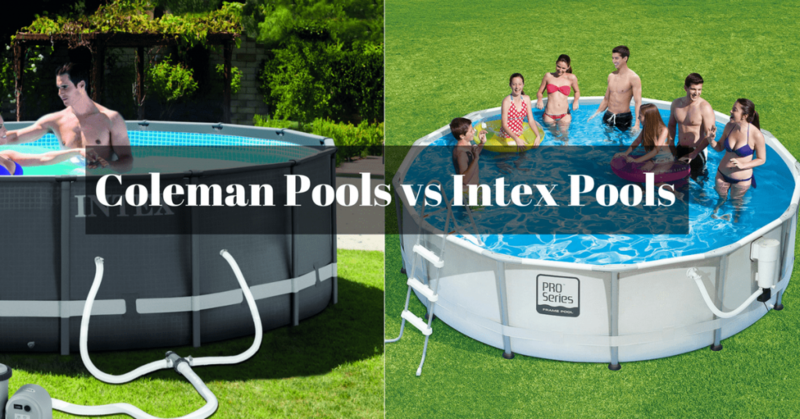 If you’re having a hard time figuring out which one is ideal for you, here’s a comprehensive Intex pools vs. Coleman pools comparison. Let’s run a quick background check through these two brands. Coleman is a reputable US company famous for the production of outdoor many recreational facilities. These include campaign gears and other stuff. However, they’re known for their above ground pools. Coleman designs premium-quality above ground swimming pools. Their products are known for unique designs, sturdy build, and affordable price. There no argument about Coleman being one of the leaders in innovation and customer satisfaction. Intex is another leading US company in outdoor recreational facilities. 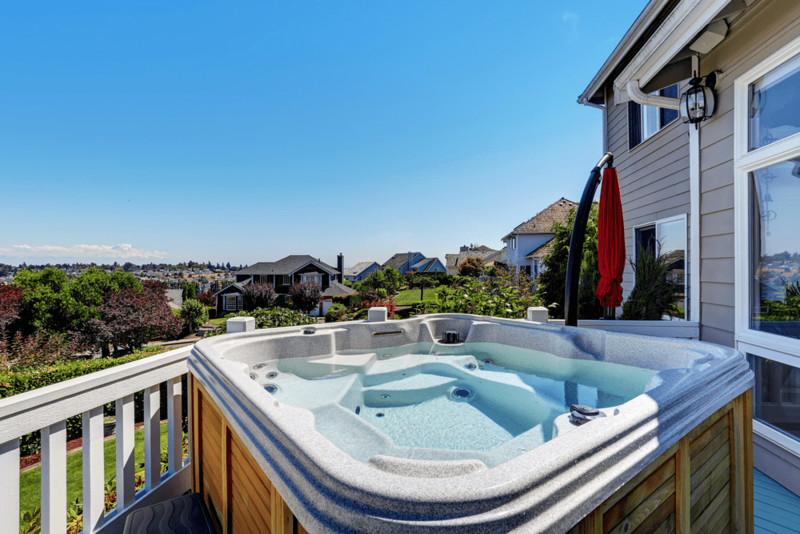 Intex is popular for the illustrious designs of groundbreaking spas, airbeds, furniture, and above ground pools. Very few brands can match the quality and affordability offered by Intex. What really makes Intex very popular is their wide range of products. No matter what price range, design, or shape you’re looking for, rest assured Intex has got you covered. There is very little to choose between Intex and Coleman when it comes to convenient setup. Unlike most other above ground pools, no bulky equipment is involved. For most products, two people can get the pool set for swimming in one to two hours. Most of the pumps and filters that come with both brands run on low power from the outlet. They also give you the necessary accessories and kit you need for convenient setup. The accompanying DVD guide makes setup a breeze. All in all, Intex pools might be somewhat better when it comes to ease of installation. While above ground pools might not be as elegant as their in-ground cousins, one decisive factor in selecting an above ground pool is its design. Ease of installation and maintenance is another key factor. Both Intex and Coleman offer the best looking products unarguably. However, Coleman pools are also unrivaled when it comes to ease of maintenance. 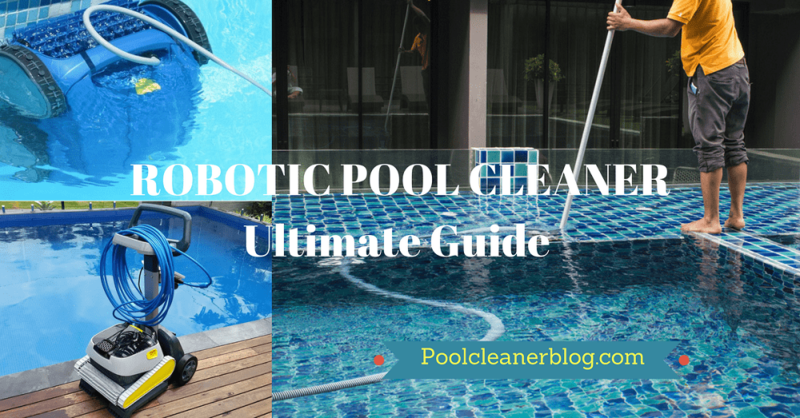 You won’t have to exhaust energy on frequent cleaning or filtering as in some cheaper above ground pools. Intex isn’t far behind, and you can be assured of little effort maintaining your pool, it is safe to say ease of maintenance of is the stand out point of Coleman pools. Although, Intex radiates superiority in its ease of installation. The price tag is usually a very important factor when buying any item. However, it might not be as important in case of above ground pools for two reasons. Firstly, they’re very affordable. Secondly, both brands offer nearly the same pricing. For Intex, the price for most products hovers around the region of $200 to $500. For Coleman, the prices range within $350-$500. Although there are some high-end products that cause a lot more. But most of their models are offer enough space and durability at an affordable price. Talking about customer service, both Intex and Coleman beat the basic pass mark. However, some customers have bemoaned the difficulty in reaching out to the customer service department of Coleman. While this is not very common, it can yet be an inconvenience in those rare moments when you need customer service’s attention. This pool is well equipped with super-tough laminated PVC sidewalls. 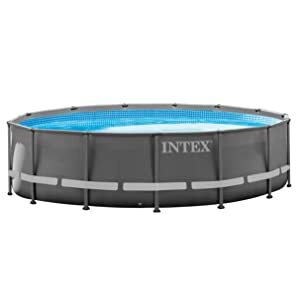 The Intex 12ft X 30in Metal Frame Pool Set with Filter Pump comes with the ground fault circuit interrupter. The feature is responsible for shutting off the pump in the case the electric current comes into exposure to water. 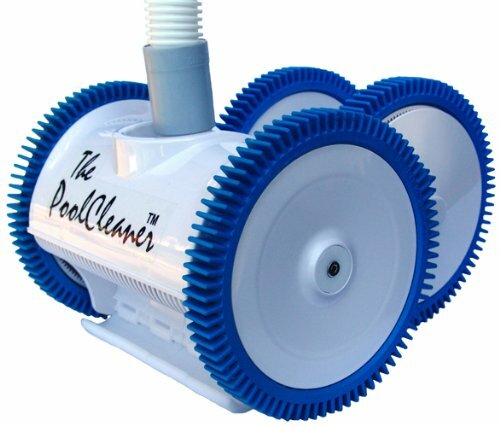 Exciting as the pool is, it is yet girded with a convenient drain plug which connects to a garden hose for effective water drainage from the pool. The pool comes with a touch of innovation boasting the dual suction outlet fittings. This enhances the circulation of water thereby aiding you with improved clarity as well as facilitating water hygiene. There is also the Krystal clear cartridge filter pump 530 GPH (110 – 120v) which comes with a warranty of 12 months. It offers a water capacity of 1,718 gallons. Avoid setting up this pool on a septic tank, mud, sand or soil loose soil conditions. 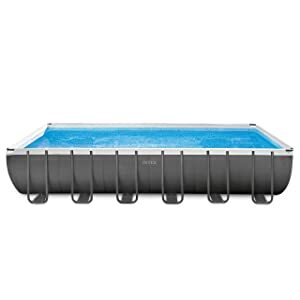 This Intex is pool reputable for strength, supported by powerful double steel frames. These steel frames are powder coated so as to preserve the beauty of the pool protecting it from rust. This pool is great when measured against its existing market variant notably for its revolutionary strength. There is as well the Krystal clear cartridge filter pump 1, 000 GPH (110 – 120V) connection so as to enjoy crystal clean water. This pool also comes with the dual suction outlet fittings which improve how well the water circulates so that you can enjoy cleaner water. The included ladder brings in a reasonable touch of stability and support for the steel. The water capacity is fairly impressive coming at 3, 357 gallons. It is incredible how easily this pool can be set and ready for water in just 45 minutes. This pool possesses good structural strength courtesy of their durable steel frames. The steel frames here are also powder coated for resistance against rust while maintaining their aesthetic appeal. There is the Krystal clear sand filter pump100 GPH (110 – 120V) which you can connect so that the pool can be fed with clean and sparkling water. The water capacity is 6, 981 gallons. The pool is decked with a sturdy ladder. It offers convenient entrance and exit, plus plays a great role in the stability of the pool by giving it more reliable support. This pool has an attractive appearance which can embellish any backyard. The Intex ultra frame pool also comes with a ground cloth and a debris cover. You can carry out the installation easily using the detailed DVD guides. The pool can be set up and ready for water in 60 minutes. The Intex pool stands out for strength. It has the ultra-frame pool that is made of formidable double steel frames. That is not all, the pool has additional stability from the ladder which a recent addition to the design of this pool. These frames are resistant to rust, thanks to their powder coating. Lovely as the swimming pool is, it boasts the Krystal clear sand filter pump as well as the saltwater system so you can get clean and hygienic water. The water capacity for this Intex Ultra frame pool is 6,981 gallons. The Krystal clear sand filter pump & saltwater system comes with a rating of 1, 600 GPH (110 – 120V). The water circulation as well as improved hygiene because of the new dual suction outlet fitting are impressive. You also a get a ground cloth as well as debris cover that can keep the pool clean. For easy setup and maintenance, the swimming set comes with a DVD. Remember not to set this pool up on mud, sand or soil loose soil conditions. 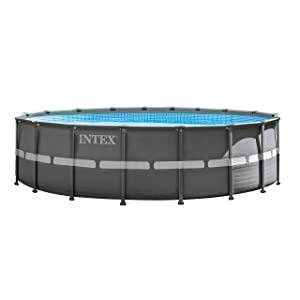 The Intex 15ft X 48in Easy Set Pool Set with Filter Pump, Ladder, Ground Cloth & Pool Cover is furnished with the ground fault interrupter. The pool has its unique safety feature of shutting the pump off in the event of electric current getting into the water. The water capacity is 3, 736 gallons. With that in mind, the Intex pool is equipped with super-tough laminated PVC sidewalls. 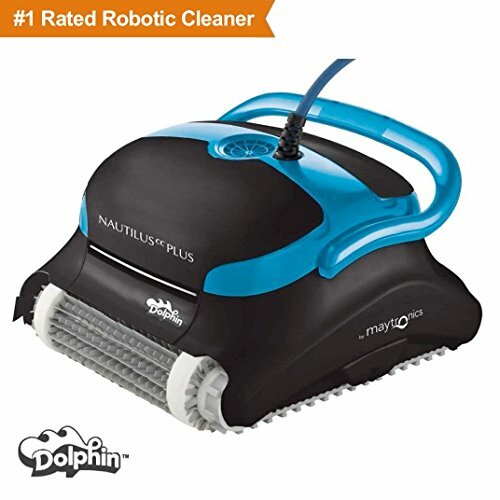 You also have the convenient drain plug with which you can make the connection to a garden hose with easy drainage of water from your house area. This Intex pool comes with Krystal clear cartridge filter pump, 1, 000 GPH (110-120V). Also, this Intex pool is fortified with dual suction outlet fittings. The feature helps improve the water hygiene while enhancing the clarity of the water. There is also the provision of debris cover as well as ground cloth. This pool is well-built and reinforced with super-tough laminated sidewalls all enhanced with an all-around band. This is to ensure that the frame legs have a good foundation. 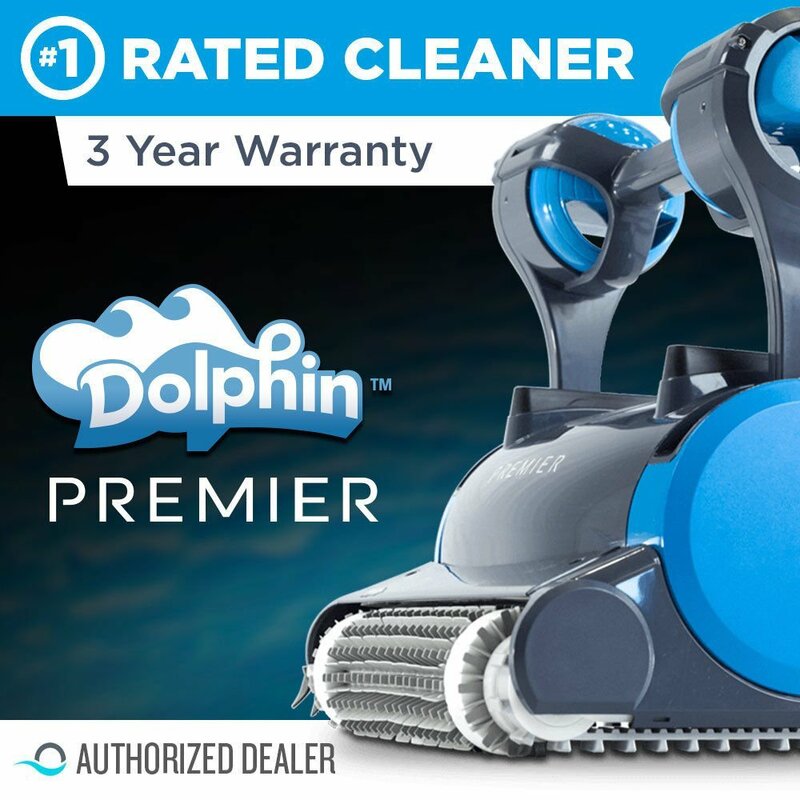 This pool comes with the Krystal clear cartridge filter pump 1, 500 GPH (110 – 120V). The dual suction outlet fitting is another added feature which helps in improving the hygiene of the water and making the water crystal clear. There is also the convenient drain plug which you can connect to water for the effective drainage of water from the pool. To garnish you with enough knowledge pertaining to the setup and the maintenance, there is an emphatic step by step guide for you. The capacity of this pool is 6, 423 gallons. The pool can be ready for water in 60 minutes. The pool can accommodate up to eight adults while the minimum age of these persons could be 6 years. The pool offers intense strength. The pool gains its support from strong steel frames which are powder coated for the purpose of protecting it against rusting thereby preserving the beauty. Also, this pool is well equipped with Krystal clear filter pump and saltwater system. The sidewalls of this pool are armed with super-tough laminated PVC. You also have the convenient drain plug which is very effective in linking it to the garden hose. This way there is fluidity and ease in the disposal of water via drainage. This pool is made even lovelier by the volleyball set ensuring the fun is replete. The new dual suction outlet fitting goes a long way in enhancing the cleanliness of the water. In addition, there is the deluxe pool maintenance kit for your satisfactory relish. The water capacity is 8403 gallons. This pool can be ready for water in 60 minutes. The 22′ x 52″ Coleman Power Steel Swimming Pool Set is one lovely option for families bringing to mind the superiority it boasts as to its steel frame design. The steel frame aids this pool with durability and reasonable strength. Little energy is required for its assembly. For the protection of your pool as well as safeguarding your lawn, the pool comes with a ground cloth. On the other side, to keep the debris far off especially when you are not using the pool, there is the pool cover which comes with this model. Therefore, you can immerse yourself in the water with ease and also come out without a fuss, using a ladder for simplified navigation. 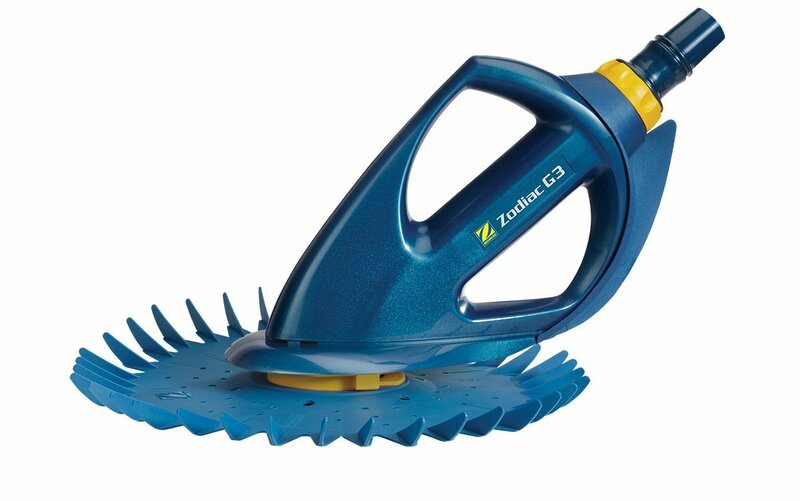 You have the 2500-gallon pool pump which maintains the sparkle of the water. The metal frames are supplied with rust resistance as well as the provision of a flow control drain valve. The latter simplifies the process of drainage. 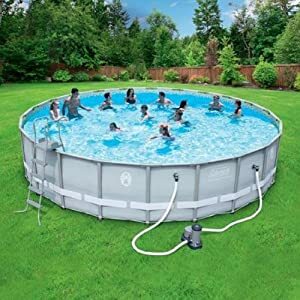 Despite the fact that it’s only 48 inches deep, the Coleman power steel rectangular frame pool is a great choice for medium sized family with kids. The good thing about the pool is that it does not require too much water, chemicals, and maintenance. The rectangular shape makes it ideal for smaller, square or rectangular backyards. The ideal shape takes less space than a round pool, yet offer more space to swim. The build of this pool is pretty sturdy, thanks to the steel frame. Moreover, this is also one of the best looking above ground pools. The only real gripe we have against it is the smaller pump for the size of the pool. In fact, you might consider investing in a more powerful pump to get cleaner water. If you intend to use the pool for a long time, the investment will be well worth it. While Intex and Coleman pools are the leaders in the industry, there are also some other good options available on the market. 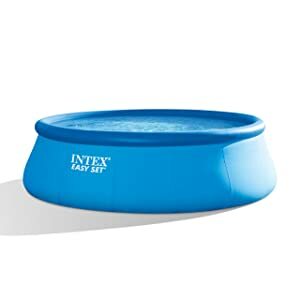 Here are a couple of pools by other brands that are very impressive, especially for the price. This above ground pool provides appealing features that are as good as some of the Coleman and Intex products. However, remember this is a small pool and is ideal for kids only. The Bestway Rectangular 94 x 59 x 23 Inches Splash Frame Kids Swimming Pool, it doesn’t take gigantic efforts setting up. Also, it’s easy to take it down should you choose to. For simplified and stress-free drainage, this pool is equipped with flow control drain valve. 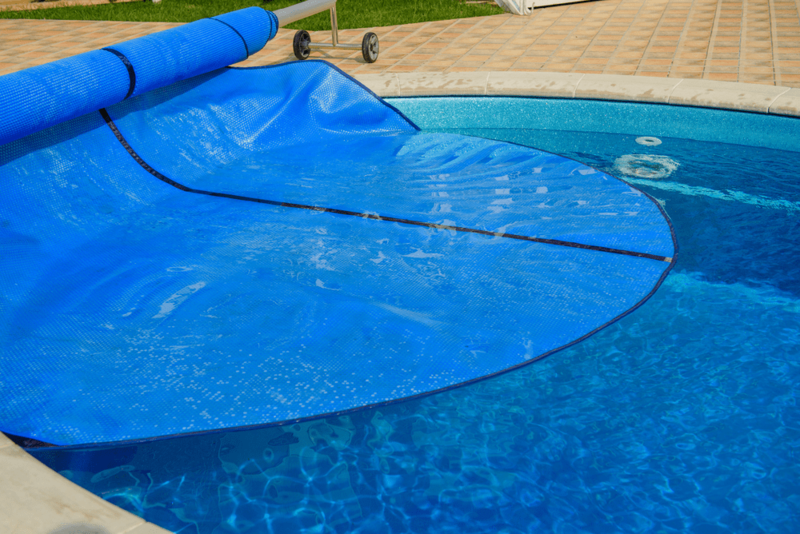 This pool comes with heavy-duty PVC as well as polyester 3-ply side walls. Talking about dimensions, the pool measures 94″ 59″ x 23″ with a water capacity of 476 gallons. 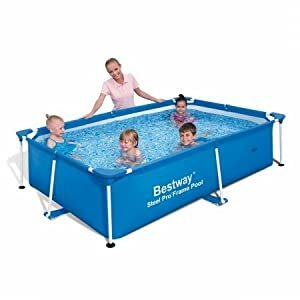 This makes the Bestway Rectangular 94 x 59 x 23 Inches Splash Frame Kids Swimming Pool a very befitting facility for bountiful outdoor fun for both you and your little ones. The Summer Waves 8′ Metal Frame Above Ground Family Swimming Pool Set w/ Filter Pump is fairly spacious. It is fitted with SFS350 SkimmerPlus 110/120V Filter Pump as well as the with GFCI and D type filter cartridge. Here, the metal frame pool is a nice choice for durability and quality. 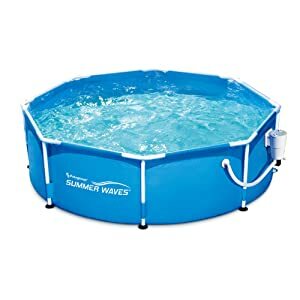 The Summer Waves 8′ Metal Frame Above Ground Family Swimming Pool Set w/ Filter Pump comes with an 8-foot diameter metal frame pool enhanced with a powerful filter system. This pool is suited to heavy use courtesy of its intense metal frames. 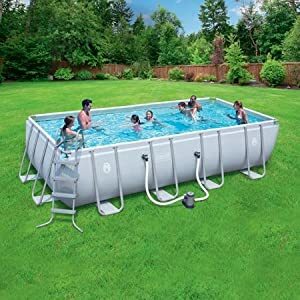 The Summer Waves 8′ Metal Frame Above Ground Family Swimming Pool Set w/ Filter Pump can be ready for water in just 30 minutes. It is without doubts that this pool can accommodate both you and your kids forging those fun family bonding moments. However, the pool is more appropriate for swimmers above 6 years of age. It takes little effort to maintain Coleman pools, and they are appealing to the eyes. Coleman pools generally need limited cleaning and filtering with reduced need for frequent bleaching. Moreover, you don’t need professional cleaning service either. 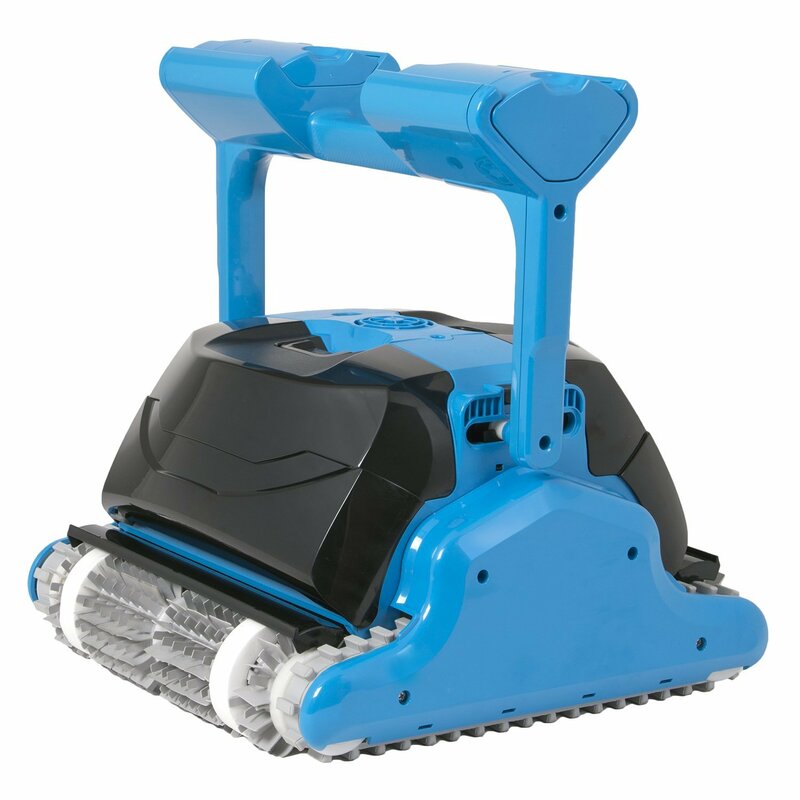 There is the option of a robotic cleaner for you should you choose to mechanized cleaning service over human hands. The water in Coleman pools also has an impressive flow. Coleman pools are peculiar their mobility of ease of transportation. They are very easy to move around. Also, there is a vast variety of pools to choose from spreading through different shapes, sizes, and even depth. You can improve the pool with more maintenance kits via immediate set up with outright water treatment. Moreover, you have the option of expanding the size of your pool, should you otherwise choose to reduce the size, it is all the same possible. 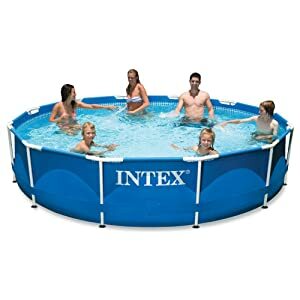 This way you and your adult pals can be enjoying your swimming in the conventional pools which are full size while your little kid can catch as much fun in a toddler pool. You don’t need great technical expertise in setting up your Coleman pools. Within seconds, you can get them assembled. Also, should you use to make do without a team, it is all possible as there is exhaustive leveling or digging to do. This is another beauty of Coleman pools. It is comfort personalized. The pool can be customized as far as having your own choice of the ground cloth. This gives you that privacy you need from your above ground pool – even if your yard isn’t properly fenced. 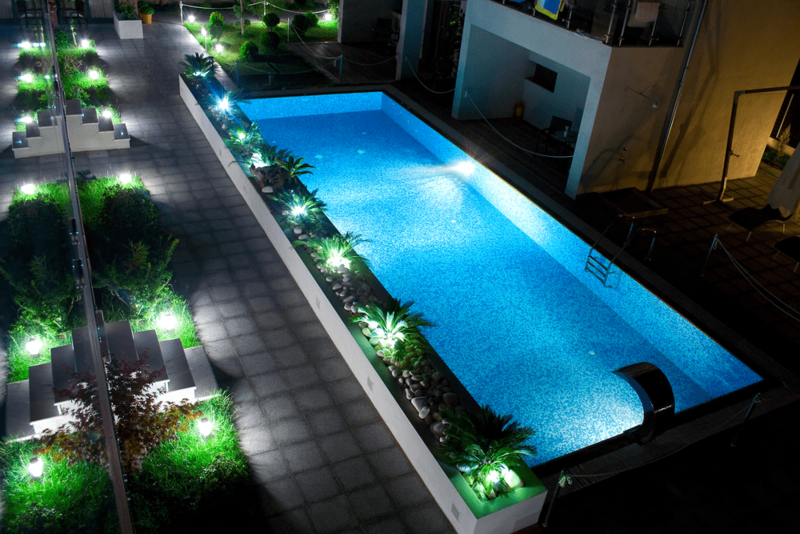 Now let’s explore the pros and cons of Intex above ground pools. Intex pools are well fortified with the “prism frame.” This is powder coated or the purpose of resisting rust. The lovely implication is sustainability for your pool frame. You get your installation kit included. Also coming along with the package is the pump including a DVD pack which guides you all the way through the installation. There is also the provision of a ladder, pool cover as well as a ground cloth. 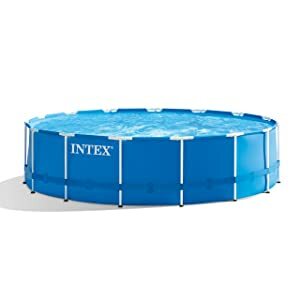 3-Ply Liner: The pool liner of Intex pools are produced from study materials compositing of three layers which have an impressive resistance to punctures. This is one problem of Intex pools as they are not sturdy. But this can be improved with the addition of a deck or an improved ladder. There is the possibility of you spending more on another pump with higher quality so as to improve the performance. Above ground, pools are inexpensive with very little effort expended in installing them. Compared to an in-ground pool, above ground pools cost just a fraction of their price. Moreover, most models require a couple hour DIY project. On the flip, in-ground pools will require a professional company and can take days, even weeks to complete. Another factor that makes above ground pools darlings is the ease of maintenance. You don’t have to bother much about bleaching and filtering of your pool in the case of above ground. There is lesser debris to worry about as well when measured against in-ground swimming pools. Also when it comes to above ground pools, you have more peace of mind pertaining to keeping the rodents and the animals away. Frogs, rodents, skunk, squirrel are less likely to make a home of your above ground pool. Above ground pools are also safer, as there are lesser chances of kids and small pets falling into them. They are more portable and can go with you if you decide to move to relocate. That concludes our comparison of Coleman pools vs. Intex Pools. We weighed the pros and cons of each product and talked about their key features. While both have some weaknesses, they’re definitely the best choices available on the market. All in all, you can’t go wrong, no matter which brand you choose. Giving you a wealth of options, we also went the generous distance of embroidering this piece with other worthy and befitting alternatives you could look to should you choose not to go with the Coleman and Intex pools. Hopefully, now you should be able to decide which brand better fits your bill.